Besides water, protein is one of the most important nutrients your body needs. Proteins are made up of these little things called amino acids. Amino acids are essential nutrients that your body intakes from animal products and plants. Proteins help you stay full, they help increase muscle, and they help you maintain a healthy weight. Yes, they can help you maintain a healthy weight, but don't overdo it! 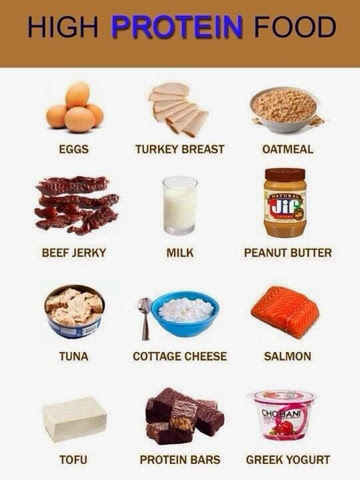 Too much protein can lead to weight gain. 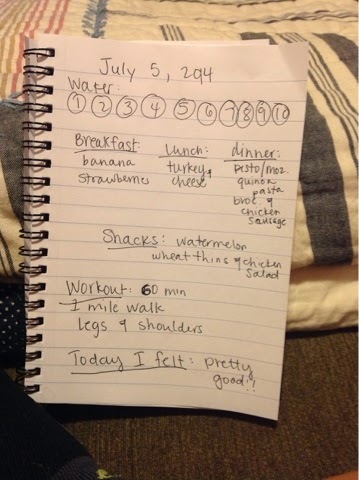 Okay, I worked at 24 Hour Fitness the summer after college and became super inspired to workout and eat healthy. 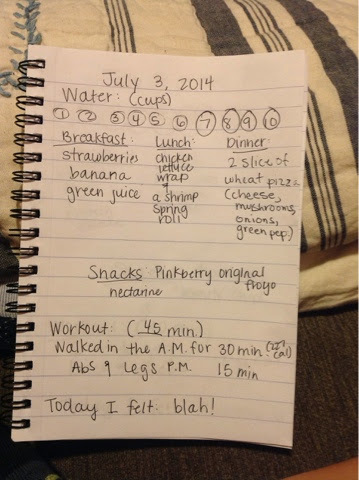 I had a personal trainer tell me what I should be eating if I wanted to lose weight. I was shocked when he told me lots of protein. I always had the mindset that a lot of protein was bad and that it would make me bulky, too muscular, or fat. I figured it was more for dudes. 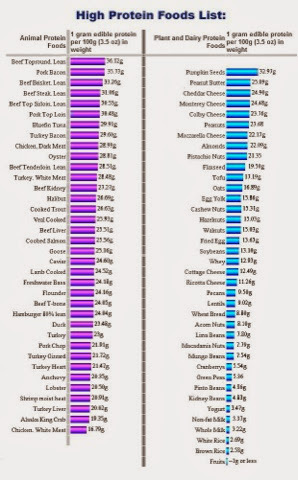 But sure enough, he told me I should be getting close to 45 grams just like the chart says. Actually it turns out that, with the right consumption, protein can help you build a leaner body! I just always thought that amount was so much, but once I found out all of the benefits and results from eating protein, I started stuffing my face with peanut butter! But that's something else I want to talk about...The proteins to eat more often and the proteins to eat less often. It's great to have protein after a workout because it is know to help you build muscles and tone! I prefer making a protein shake after my workout, so what protein powder should I use? Look for a powder that has whey in it. Whey is good for muscle building, muscle recovery, and weight management. Look for powders that have less ingredients, less sugar, and of course protein! You'd be surprised, some protein powders are so set on flavor that there's more sugar than protein, so it kind of defeats the purpose. Try and look for the powders (and shakes) that contain mostly natural ingredients! 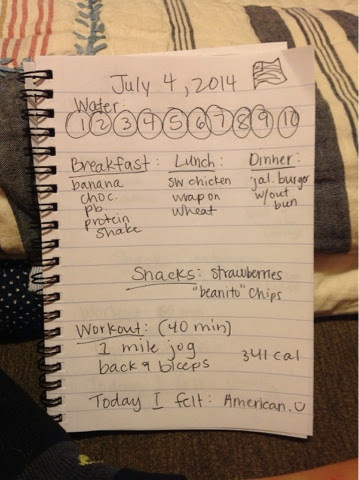 I also have a yummy protein shake recipe under my recipes tab if you're interested. -organic 2% white and chocolate milk, and I love almond milk in my smoothies! -I eat cheeses too but not as much... They make me feel bloated. 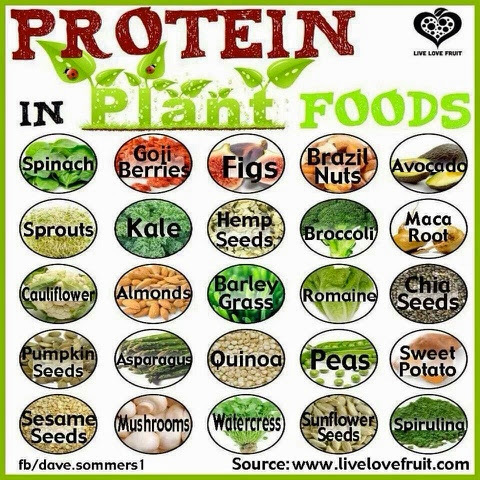 Hope you find these helpful, and remember, proteins are GOOD for you! Just make sure you are consuming more natural ones to get the best benefits! As always, I love hearing your comments and questions, so please don't hesitate to contact me!